There’s no secret to keeping a car running into the hundreds of thousands of miles. Glossy ad campaigns might give the impression that looking after your car is a matter of simply filling it up with petrol or buying a miracle wonder liquid, but unfortunately this isn’t the case. The most fantastic oil in the world is no use to anyone if you never change it! So, if your car seems to be costing you more in repair bills each year or is becoming increasingly unreliable, we’ll let you into the secret. Regular maintenance and checks are the thing that will ensure your car keeps running for longer. By keeping on top of what’s going on under the bonnet, you can save yourself hefty repair bills when an unloved clutch gives up or a balding tyre blows out. Here we give you our top 10 tips for car maintenance. Every car owner should have a copy of their car’s manual, but in reality very few actually do! By referring to it regularly, you will know how often the manufacturer recommends changing things like oil and radiator fluid and what your optimum tyre pressure should be. Not taking reasonable steps to check these simple things can invalidate your insurance in the event of an accident or a fault, so make sure you familiarise yourself with these procedures. We would recommend checking your tyre pressure every month and certainly before you go on a long journey. 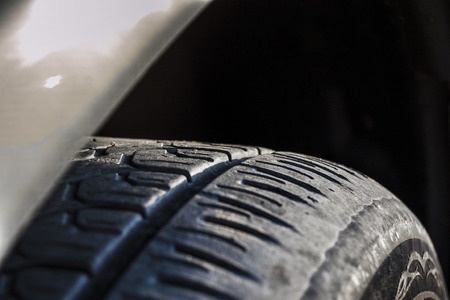 As well as alerting you to any slow punctures or other problems, this will ensure your tyres are performing effectively and you are not going to risk your safety when driving. The tread on your tyre is what enables your car to grip the road in wet conditions, meaning you can brake safely without skidding. The legal minimum in the UK is 1.6mm: any less than this and your tyres are potentially unsafe and, of course, illegal. Try the 20p test: put a coin into the groove of your tyre and if you can see the whole outer rim of the coin, it is likely to be below the legal limit. Our Exeter garage can supply and fit a range of new tyres which will optimise the performance of your vehicle if this is the case. It’s a good idea to change your car’s air filter around every 10,000 miles, or once a year. As well as giving you more efficient mileage and reducing your emissions, this is a key step in increasing the life of your engine. At our Exeter garage, we can do this quickly and cost-effectively. This is something that many car owners fail to do, but it is important to the longevity of your vehicle, as clean fuel is so important to the efficiency of your engine. The recommended point at which this is replaced will vary depending on the model of your car, so check your manufacturer’s guidance. We are very experienced in changing fuel filters and this relatively low-cost piece of maintenance can save you a lot of money in the long run by preventing a major engine failure. Don’t risk the safety of your vehicle and the wrath of the DVLA by putting off your Exeter MOT. Ensure your MOT is carried out by a registered garage and consider adding a service while your car is being looked at. This will give you piece of mind that your car is safe and that everything is topped up and in full working order. Check your headlights and brake lights regularly and carefully monitor your display for anything that starts flashing. An engine symbol is a sign that something needs to be checked by a mechanic, so don’t delay bringing your car in if you notice this. The brakes are the most important safety feature on your vehicle and, as such, they need to be inspected at least every 10,000 miles. The brake fluid should be flushed every two years or every 20,000 miles and brake pads should be checked for wear and changed if required. Here at our Exeter garage, we recommend a brake pad check every six months. Paintwork won’t affect how your vehicle drives, but it is a huge factor in depreciation. Keep your car looking its best by applying a wax around every six months. This will protect the paintwork from nasties such as bird poo, grease and grime. When you wash your vehicle, be sure to wash underneath the chassis to remove mud, grass, salt and grit which can all contribute to the creation of rust. Our Exeter garage is highly experienced in carrying out MOTs and all manner of car maintenance. We pride ourselves on providing a comprehensive and cost-effective service that is second-to-none. For all your car maintenance requirements in the Exeter area, get in touch today! ← Love your car and it will love you back.